My school day this year is drastically different than it was when I taught third grade. My day flies! With only two minutes between classes, I can easily go hours without finding my way to a chair. My first class comes at 8:05. Last week my second graders were making state of matter posters to compliment what they are learning in the regular classroom. Planning usually involves setting up for Kindergarten. This week I also finally hung up the big bulletin board I’ve been putting together for the last month. I am so happy to have a planning period before the little ones come in. They are almost always the class that requires the most set up. We usually do small group activities. I did not get pictures of our splatter painting adventures last week. (They will eventually be owls.) On Friday we were using the colAR app. I plan to do a whole post on this next week. I told the kindergarteners that we were doing magic. They couldn’t argue! You print the coloring sheets and then use the free app to bring the pictures to life. Coolest. App. Ever. The craziest part of my day is the switch from kindergarten to fifth grade. There are supposed to be two minutes between classes, but I usually end up with 2 seconds between those two classes. Last week the fifth grade spent a day finishing up their Famous Frosty Faces. I have just finished posting this to my TpT store. It is on sale right now in my store. I love the way these came out! After fifth grade I have lunch. I usually eat at my desk after trying to get set up for first grade. They are comparing numbers up to 120 in class, so we used the Wii to compare bowling scores. Those waiting for a turn on the Wii played SumDog. They were all thrilled! My fourth graders did not get to make snowflakes for the big hallway display, so they worked together to make 3D paper snowflakes to hang in the hallway. I printed these directions. Students were less than thrilled to learn that I was going to make them READ and FOLLOW DIRECTIONS. They eventually stopped begging me to just tell them how to do it. My day ends with third grade. Last week I decided to reinforce some of the fraction activities they were doing in the classroom with some SMART board practice. One of my favorite parts of my schedule is that I repeat the same activities for three days in a row. (Once with each class in the grade level.) By day three I might be sick of it, but I feel like I have ironed out all the kinks in my plans. I know I’ve said it before, but I love teaching in the STEAM lab. It is still a work in progress, but the room and the curriculum are largely based around my vision for what a STEAM lab should be. It is fantastic! Be sure to go check out other schedules! Wow! You do look busy! 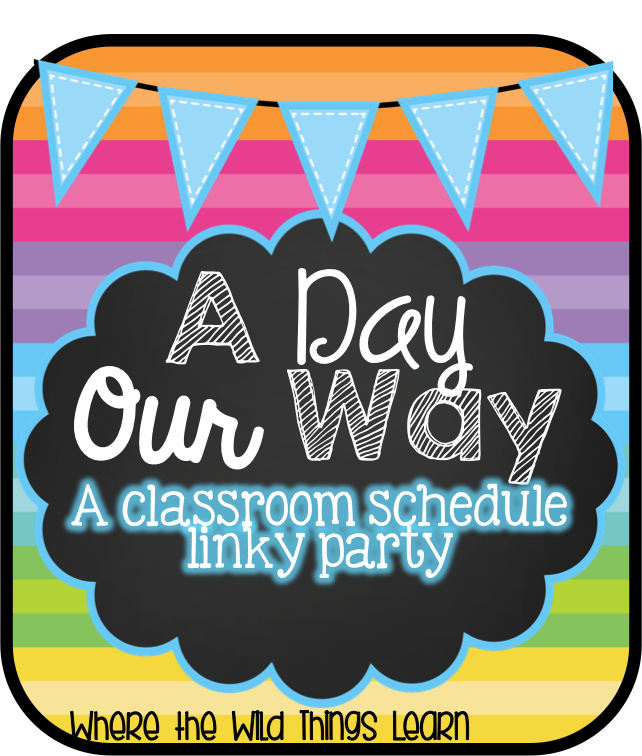 I loved reading about all the great activities you plan for your students. Lucky kids! The collaborative board looks great. I love all the tech I see going on in your room. I'm your newest follower. I look forward to keeping up with you.